Marin Cilic is given a code violation by Carlos Ramos – the umpire who was called a “thief” by Serena Williams in the US Open final – for smashing his racquet during his country’s Davis Cup semi-final win. Croatia reached the Davis Cup final after Borna Coric beat Frances Tiafoe in over four hours to secure a 3-2 victory over the United States. Croatia began the day with a 2-1 lead, but Sam Querrey beat Marin Cilic 6-7 (2-7) 7-6 (8-6) 6-3 6-4 to ensure a deciding rubber in Zadar. Coric then outlasted Tiafoe 6-7 (0-7) 6-1 6-7 (11-13) 6-1 6-3 to send Croatia into their first final since 2016. They will face defending champions France, who beat Spain 3-2. Cilic and Coric both won the opening rubbers in straight sets to put Croatia in a strong position after the opening day. America’s Mike Bryan, 40, who retired from Davis Cup tennis in 2016 along with his twin, Bob, returned to partner Ryan Harrison for Saturday’s doubles. The duo prevailed in a five-hour epic to beat Ivan Dodig and Mate Pavic 7-5 7-6 (8-6) 1-6 6-7 (5-7) 7-6 (7-5). 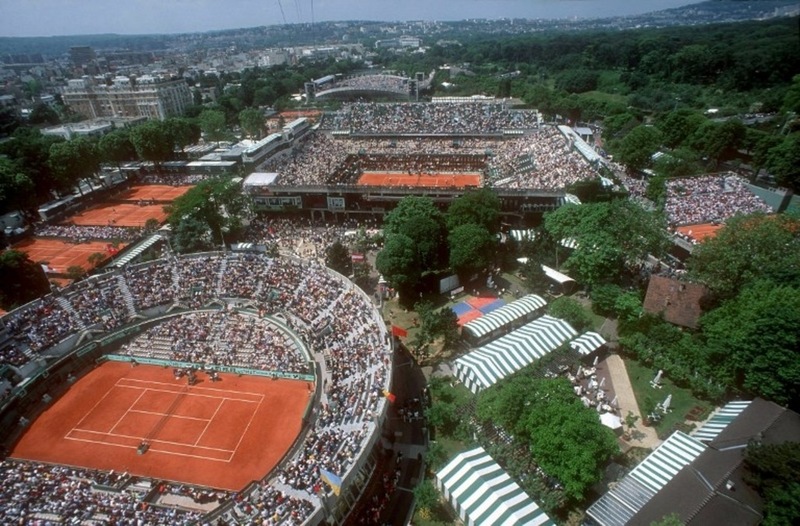 Both sides, along with France and Spain, are guaranteed a place in next year’s revamped Davis Cup. Earler, Cilic was given a code violation by Carlos Ramos – the umpire who was called a “thief” by Serena Williams in the US Open final – for smashing his racquet. The world number six broke his racquet on the ground after a series of errors in a tight third set against Querrey. He was given the reprimand by Ramos but, because it was his first offence of the match, Cilic was issued with a warning and no points were deducted. “Usually when you break a racquet, you get a code violation,” Cilic said, adding that he “could not remember” the last time he broke any equipment on court. The 29-year-old had previously squandered a 6-1 lead in the second set tie-break and hit 72 unforced errors to Querrey’s 57. There was further frustration for Coric, who led 5-1 in the third set which he eventually lost on a lengthy tie-break. However Coric, who beat Roger Federer in the Halle Open final in June, took control of the final two sets to win in four hours and six minutes. The Davis Cup will change to an 18-team event season finale, with 24 teams competing in qualifying rounds in February. The 12 winning teams will advance to the finals in November, along with the four semi-finalist from the 2018 competition and two wildcards. Austria secured their place in the February qualifiers with a 3-1 victory over Australia. Captain Lleyton Hewitt helped pull Australia back into the tie after winning Saturday’s doubles rubber, but Alex de Minaur lost in four sets to world number eight Dominic Thiem on Sunday. Japan wrapped up a comprehensive 4-0 victory over Bosnia-Herzegovina, while Canada beat Netherlands 3-1. On Saturday, Ivan Dodig and Mate Pavic came within two points of securing a 3-0 victory for Croatia at the Sportski centar Visnjik. But Mike Bryan and Ryan Harrison kept the United States’ slim hopes of a first Davis Cup final appearance since 2007 alive with a fifth-set tie-break triumph. Those slim hopes became a distinct reality on Sunday, with heroic performances from Sam Querrey and Next Gen ATP Finals contender Frances Tiafoe forcing the tie to a decisive fifth-set in a live fifth rubber. After a late change in nomination, Querrey rallied from a set down, winning 84 per cent of first-serve points, to beat World No. 6 Marin Cilic 6-7(2), 7-6(6), 6-3, 6-4 and level the tie at 2-2. In the second set tie-break, Querrey won seven straight points from 1/6 down, saving five consecutive set points, to tie the match before completing the upset after three hours and 11 minutes. But Querrey’s efforts were matched by Croatia’s Borna Coric, who produced his own standout performance to overcome Frances Tiafoe in five sets. The Gerry Weber Open titlist, who led Tiafoe 4-0 in the third set, rallied from two sets to one down to outlast the 20-year-old 6-7(0), 6-1, 6-7(11), 6-1, 6-3 in four hours and six minutes. Croatia will meet defending champion France, for the third time in their head-to-head history (1-1), in the Davis Cup final to be held from 23-25 November. Interestingly, the two nations also contested this summer’s football World Cup final in Russia, with France emerging victorious. With France securing an unassailable 3-0 lead on Saturday, Spain restored its pride in Lille with back-to-back reverse singles wins on Sunday. Albert Ramos-Vinolas scored the visitors’ first point, recovering from a set down to beat Richard Gasquet 1-6, 6-4, 14-12 before Marcel Granollers doubled Spain’s tally in the final rubber of the tie. The Barcelona native also rallied from a set deficit, defeating Nicolas Mahut, who captured the decisive third point for France on Saturday, 6-7(2), 6-3, 13-11. Cameron Norrie revealed he was inspired by a message from rugby great Jonny Wilkinson before sealing Great Britain’s latest win in the Davis Cup. Norrie blew a two-set lead and wasted match point en route to losing to world number 434 Jurabek Karimov on Friday. But he defeated Sanjar Fayziev on Sunday as GB beat Uzbekistan 3-1. “[Wilkinson] sent me a nice video to tell me to come out with a clean slate… prove to yourself and everyone that you can get it done,” Norrie said. The British number two’s 6-2 6-2 6-0 win gave Great Britain victory in the World Group play-off and ensured the team will be seeded in the qualifying round of the revamped Davis Cup when it starts in February. Norrie told BBC Sport that retired fly-half Wilkinson, whose last-minute drop-goal won the Rugby World Cup for England in 2003, had sent him the message via one of the strength and conditioning coaches. “He’s obviously incredible, an idol of mine, so it was unbelievable to get a message like that from him,” said the 23-year-old, who was born in South Africa to a Scottish father and Welsh mother. Leading the tie 2-1 going into Sunday’s singles rubbers, Britain needed one more victory to win the best-of-five-match tie in Glasgow. A last-minute change of opponent – Fayziev coming in for world number 60 Denis Istomin – did not faze Norrie, who had enjoyed a dream Davis Cup debut in February against Spain. In that tie he came from two sets down to stun Roberto Bautista Agut, who at the time was ranked 91 places above the Briton, and led to former GB captain John Lloyd saying Norrie had made “one of the most impressive debuts of all time”. Against Fayziev he had a brief wobble in the opening game when he dropped his serve but won the next four games to take control. He never looked back, winning eight games in a row from the seventh game of the second set to close out the match in convincing style. Cameron Norrie gave Great Britain a 3-1 victory in their Davis Cup tie against Uzbekistan by winning his singles match against Sanjar Fayziev in Glasgow. The British number two, who lost his opening singles match on Friday despite having had a match point in the third set, triumphed 6-2 6-2 6-0. Victory in the tie ensures Britain will be seeded in the revamped Davis Cup when it starts in February. Fayziev was a late replacement for world number 60 Denis Istomin. Norrie said: “It’s an extremely proud moment. The crowd were awesome. Britain started the day with a 2-1 lead after Jamie Murray and Dom Inglot came from behind to win their doubles match on Saturday against Istomin and Fayziev. 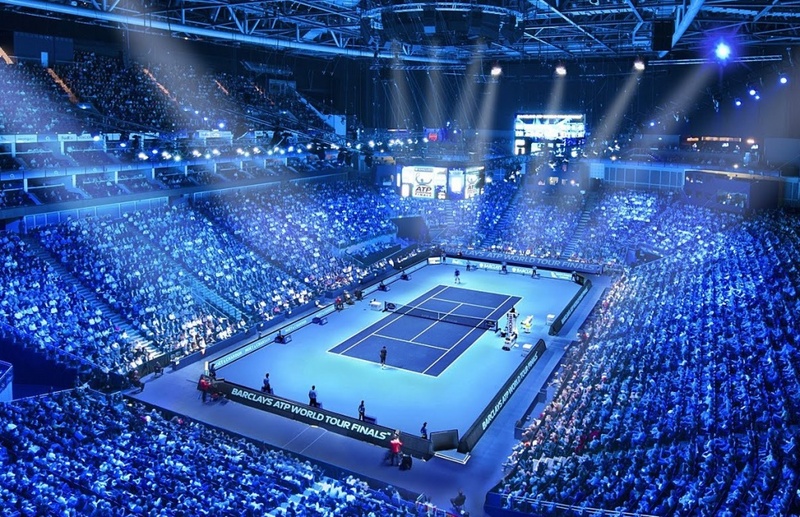 Norrie’s victory on Sunday at the Emirates Arena meant there was no need to play the scheduled fifth rubber between Dan Evans and Jurabek Karimov. World number 70 Norrie had been expecting to face Istomin, who was stunned by Evans in the opener on Friday and spent seven hours on court over the past two days, but Uzbekistan named world number 516 Fayziev instead. The 23-year-old Briton came into the match following the disappointment of letting victory slip away from him in spectacular fashion in Friday’s singles match against Karimov. The only question mark over whether he had put it behind him came when he dropped the opening game on his serve, but he then won four games in a row to take charge of the opening set, which he won when Fayziev netted a return. He was again pushed hard in the opening game of the second set but this time held his serve and then broke in the fourth and eighth games to go two sets up. He had been in this position against Karimov but this time did not give Fayziev a chance as he rattled off eight games in a row – and 11 of 12 – to wrap up the match in just under two hours. “I was pretty nervous coming into the tie today and Friday but the crowd got me through it. It’s always difficult playing your first home tie but I learnt a lot this weekend and I’m really proud of the team,” Norrie said. The tie was set to be a World Group relegation play-off, with Britain’s place in the competition’s top tier at stake following their first-round loss to Spain in February. However, the Davis Cup will change to an 18-team event season finale in 2019, rendering the tie effectively meaningless. Twenty-four teams will compete in February’s qualifiers, which Britain are now seeded for, with the 12 winning teams advancing to the finals in November. The four semi-finalists from the previous year’s tournament – which this year are France, Spain, Croatia and the United States – and two wildcard picks would complete the 18 teams. “Some people said this was a meaningless tie but look at the Uzbekistan team, look at the crowd. It was hardly meaningless, it was brilliant,” Smith said. Smith does not yet know if his side will play a home tie in February and, with next year’s finals to be staged in either Madrid or Lille, this was potentially the last time GB played in front of a home crowd. Watch five great shots as Cameron Norrie gives Great Britain a 3-1 victory in their Davis Cup tie against Uzbekistan by winning his singles match against Sanjar Fayziev in Glasgow. Dominic Thiem needed two hours and 57 minutes to complete a 3-1 victory for Austria over Australia on Sunday. The World No. 8, who also secured his nation’s first point on Friday, converted seven of 12 break points and landed 29 winners to defeat Alex de Minaur 6-4, 6-2, 3-6, 6-4. Having trailed 0-2 after Friday’s singles rubbers, Lleyton Hewitt and John Peers had given the visitors a chance of a miraculous comeback in Graz. But Thiem, who reached his first Grand Slam final at Roland Garros in June, proved too strong for his 19-year-old #NextGenATP opponent on clay. Cameron Norrie quickly overcame the disappointment of letting a two-set lead slip on Friday by clinching a 3-1 win for Great Britain over Uzbekistan in Glasgow. Firing 22 forehand winners in one hour and 53 minutes, Norrie cruised to a 6-2, 6-2, 6-0 win over Sanjar Fayziev. Having confirmed victory without dropping a set on Saturday, Japan scored a fourth straight-sets win over Bosnia and Herzegovina on Sunday. Yosuke Watanuki required just 58 minutes to move past Darko Bojanovic 6-1, 6-3. Like Japan, Serbia also added a fourth success in as many matches to defeat India 4-0. Pedja Krstin hit six aces and broke serve on five occasions to beat N.Sriram Balaji 6-3, 6-1. For the third straight year, Jamie Murray and Bruno Soares have lifted a hat trick of titles on the ATP World Tour. The British-Brazilian team, which has reached five tour-level finals in 2018, started the season strong with a runner-up finish on their first outing in Doha and has continued to impress throughout the year. With a maiden ATP World Tour Masters 1000 title to their names and two further crowns at 500-level, Murray and Soares are well placed to make their third consecutive trip to the season-ending Nitto ATP Finals, to be held 11-18 November at The O2 in London. The 2016 and 2017 semi-finalists, currently occupying fifth place in the ATP Doubles Race To London, have compiled a 33-14 record this season. Following on from their opening-week final appearance at the Qatar ExxonMobil Open (l. to Marach/Pavic), Murray and Soares fell to a Round of 32 defeat at the Australian Open. A final-set tie-break loss cut short their attempts to claim a second title in three years at Melbourne Park, but Murray and Soares recovered well, with strong performances in February. After a semi-final showing in Rio de Janeiro, the duo picked up their first trophy of the season in Acapulco. Murray and Soares did not drop a set en route to successfully defending their crown, beating Bob Bryan and Mike Bryan in the championship match. 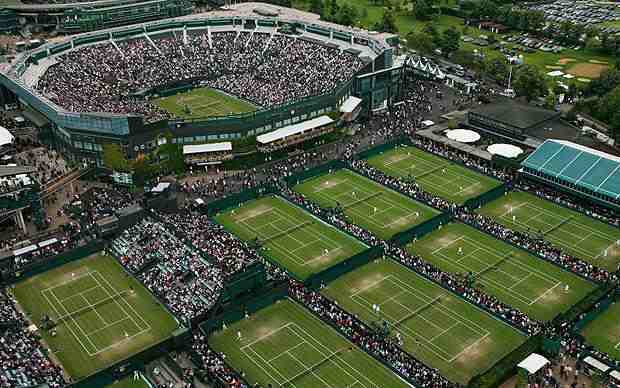 After a disappointing clay-court season, Murray and Soares reached their third final of the season at the grass-court Fever-Tree Championships, defeating top-seeded Oliver Marach and Mate Pavic en route to the championship match. They followed that final run with another trip to the Wimbledon quarter-finals, their second in three years. But Murray and Soares’ best results were still to come, with the third-year pairing recording 11 wins from 13 matches on the hard courts of North America. The Acapulco titlists added two further trophies to their collection, firstly at the Citi Open and then again at the Western & Southern Open in Cincinnati, where the fourth seeds captured their first Masters 1000 crown. 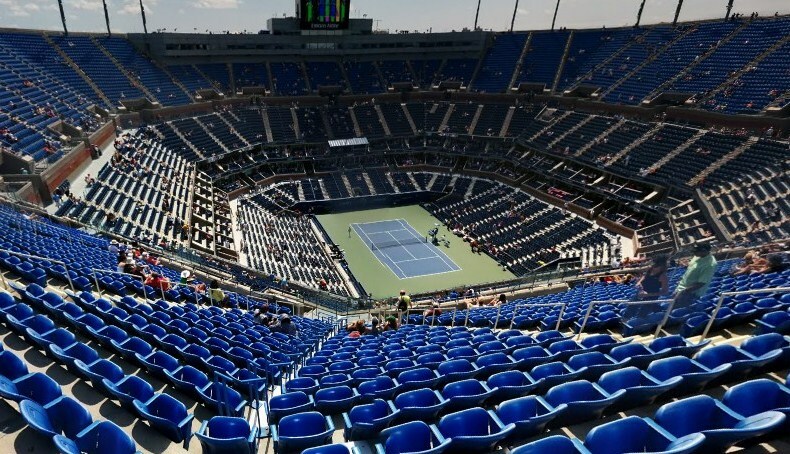 After reaching the US Open quarter-finals in New York without dropping a set, Murray and Soares looked well placed to challenge for their third Grand Slam trophy. 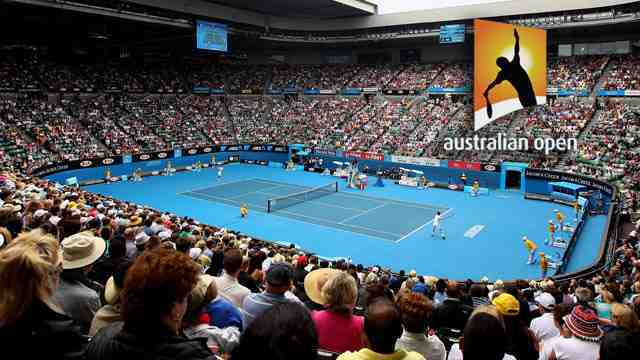 But a shock loss to unseeded pairing Radu Albot and Malek Jaziri brought their campaign to an abrupt end. But Murray and Soares look set to make it three consecutive years of qualifying at the Nitto ATP Finals in November. The question is, if they get there, could they make it third time lucky and advance beyond the final-four stage?